Within 250 miles of Nashville, TN. 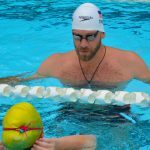 At this swim clinic, Olympic medalist Connor Jaeger will be in the water teaching participants the technique that will take their swimming to the next level! Connor is a very technical swimmer who specializes in teaching swimmers of all ages and abilities what they need to know to drop time! 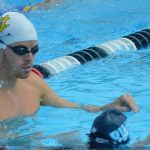 Blast off the blocks, into underwater dolphin kick, and breakout ahead of the competition at this swim clinic designed to help competitive swimmers improve upon the key details that are essential to fast starts. Olympic medalist Connor Jaeger will teach all participants the drills that they need to practice to master these skills. UNDERWATER DOLPHIN KICKING: The fastest swimmers in the world dolphin kick off of their walls and breakout ahead of the competition. It's not as hard as you think. Connor will help swimmers improve their technique as well as commit to a number of kicks off of every wall so that they can imporve their underwaters now as well as in the future. Your team is counting on you! Learn the essential components of having a fast AND legal relay start so that you and your teammates can stand on top of the medal podium. Olympic medlaist Connor Jaeger will also teach participants how to have an efficient flutter kick and breakout. RELAY STARTS: Your swimmer will learn to set up on the blocks in a position that will allow them to explode forward. Timing is everything! You want your feet to leave the block the moment that your teammate touches the wall. Nail the arm swing and make sure to be fuly engaged in the air as you throw your hands forward into a tight streamline. Get your whole relay team to sign up to master this challenging and athletic skill. FLUTTER KICKING: How much should you bend your knees? Which direction of your kick gets more power? These questions and more will be answered by Olympic freestyler Connor Jaeger. He will be in the water with participants working on maximizing the speed and power of your flutter kick. BREAKOUT: The breakout happens so fast in a race, it is often overlooked! Learn to stay streamlined, tight, and strong as you begin your first stroke. Keep your head down and pay attention to your depth. You won't believe the difference that a great breakout makes when you do it correctly. Bodyline: Your freestyle will never be fast without a strong bodyline. Learn to maintain good posture and engage your core to have a foudation for a stronger and faster freestyle. Kick: Become a more efficient kicker through learning about both the technique and timing of each kick from an Olympic medalist. Pull: The freestyle arm pull has 5 parts. The goal is to be as efficient as possible in pushing your body past your hand. You will learn to get more out of every stroke through achieving a long extension, high elbow catch, and powerful finish. Rotation: Learn to utilize your rotation for more connection and power out of every stroke and every kick. Breath: Connor will show you how to make each breath more efficient for faster freestyle racing no matter what distance. Swimmers and parents are invited to ask Connor questions during a Q&A session. Gain insight into his training regimen, diet and nutrition, and recovery tactics. Observe Connor swim at full speed and demonstrate a progression of perfectly executed drills to achieve powerful, efficient and fast swimming.